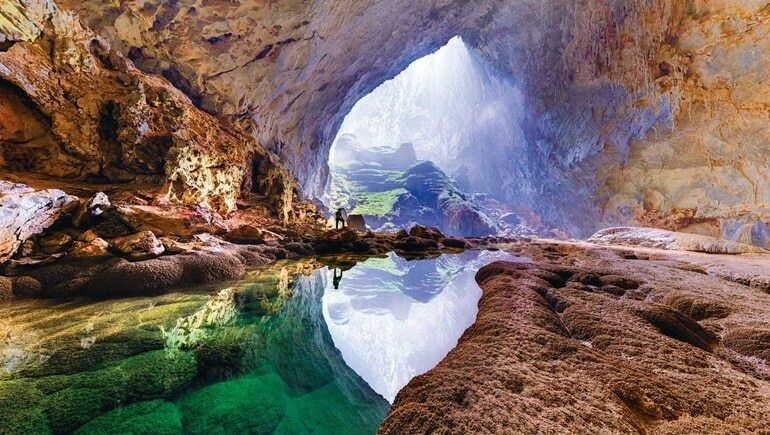 Phong Nha Cave is considered as the longest wet cave in Vietnam and in the world. Phong Nha Cave was discovered in 1899 and during the American war, the cave was used to store and hide equipment as a hospital. In 1992, some British scientists went inside the cave and successfully discovered 7,729m of cave with a maximum depth of 83m and a maximum height of 50m. 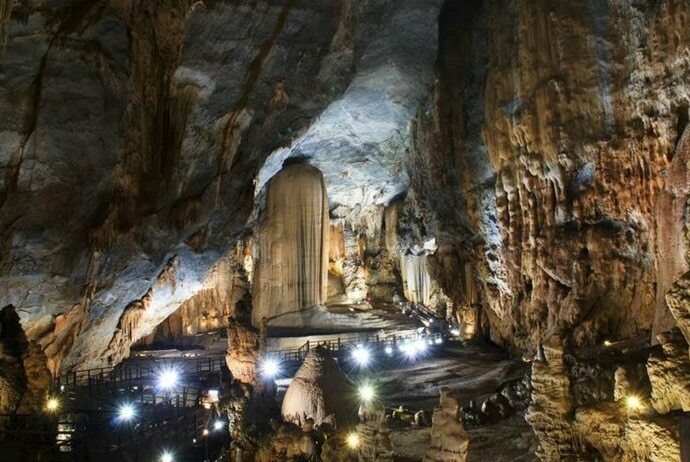 In this article, Vina.com will provide the basic knowledge of Phong Nha Cave in Quang Binh, Vietnam as well as what tourists should know before visiting this beautiful cave. If you travel to Phong Nha town by train, you need to get off in Dong Hoi (Đồng Hới), and then hire a car or motorbike to take you to Phong Nha town. Besides, tourist buses also directly take you to Phong Nha cave that is 45km from Dong Hoi. Many buses depart from Hanoi, Hue, Dong Hoi, Da Nang, Ninh Binh, etc. You can book both bus and train tickets through tourist agencies in town. Besides, many companies now offer motorbike rental in Phong Nha, so you can hire and drive a motorbike from dong Hoi to Phong Nha Cave. When you decide to choose a rental company, you should check out the cost, quality of the helmet, the maintenance of the motorbike as well as breakdown/rescue services. 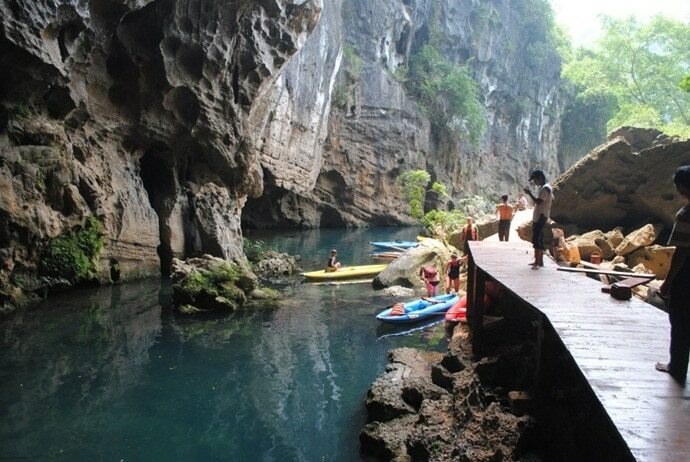 From The Tourist Center, you can catch a boat to Phong Nha Cave. The ride to Phong Nha cave takes you 15- 20 minutes from Son River by wooden boat. When it comes to knowing about Phong Nha Cave in Vietnam, weather in Phong Nha is what you should not ignore. In Phong Nha, the average temperature is from 23- 25oC. The average temperature fluctuates greatly between months, highest in July and lowest in January. The coldest months are from December to February. The hottest months are from June to August with the average temperature of 28°C. Besides, the temperature gap between night and day is big. Especially, the temperature ranges is above 10oC in summer. In winter, the temperature is over 8oC. The frequency of rainfall may account for about 20%, and the rainfall focuses in September and October. 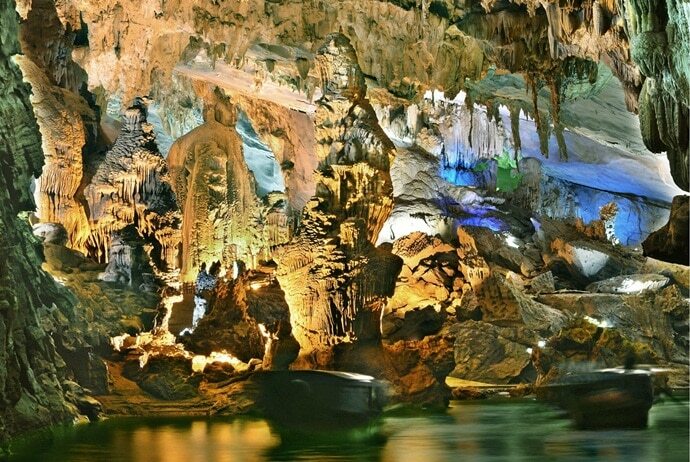 Phong Nha Cave in Quang Binh is known as one of the cultural heritages of the world. The subterranean river system runs through the entire cave, but there are some dry areas in the cave where the water cannot reach anymore. Phong Nha Cave is divided into three sections, and each section is home to some different animal species. The mouth of the cave as well as the first few meters inside the cave is the entrance zone. It is the home to animals such as monkeys, birds, fish, insects that live in sunlight. On hot days, these animals look for shelter inside the cave. The only way to get into the cave is by a 30-minute boat on the Son River. This section of the cave is simply beautiful and does not look like other cave entrances in the world. This is the area in the cave where the lighting system is installed. The lighting system may light up the entire cave. This creates a very unique sight and enhances the cave’s beauty. There are not many animals that live inside this zone because there are lots of visitors entering the cave on a daily basis. Some animals that still live in this twilight zone are eel, crabs, shrimps and fish. This zone does not have the lighting system. For many visitors, this is a mysterious part of the cave. Inside the dark zone, there are some strange animals such as blind bats, blind fish, and blind insects. Sometimes, red lizards can be found in this zone, but they are hard to find. 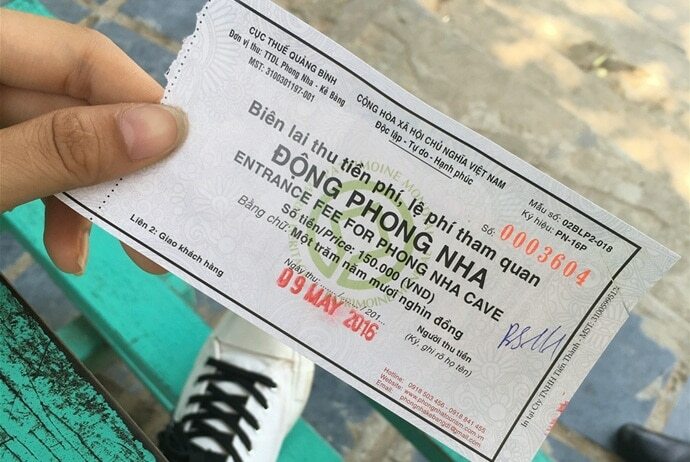 Tourists who visit Phong Nha Cave in Quang Binh are damaging in many ways. There are a few people who are allowed to get into the cave every day. Fortunately, this number of people rarely gets exceeded. Firstly, most tourists touch the big stalactite and stalagmite formation. Secondly, the amount of CO2 changes in the air. This affects the overall temperature inside the cave, so this can be very harmful. Nonetheless, the temperature in the cave has remained since it is open to the public. Actually, Phong Nha preservation is very important for its maintenance. Phong Nha cave can be accessible by boat from Phong Nha town. You need to purchase tickets for the cave itself and the ride. Fortunately, the tickets are relatively cheap and the process of traveling is simple and straightforward. The boat ticket is 360,000VND and the entrance ticket is 150,000 VND. Nonetheless, in order to make things cheaper, you should purchase your boat tickets in group. They allow up to 14 people in one boat; therefore, the price can dramatically reduce. 6. Where To Stay In Phong Nha? Previously, the only available place to stay in Phong Nha was Phong Nha Farmstay. 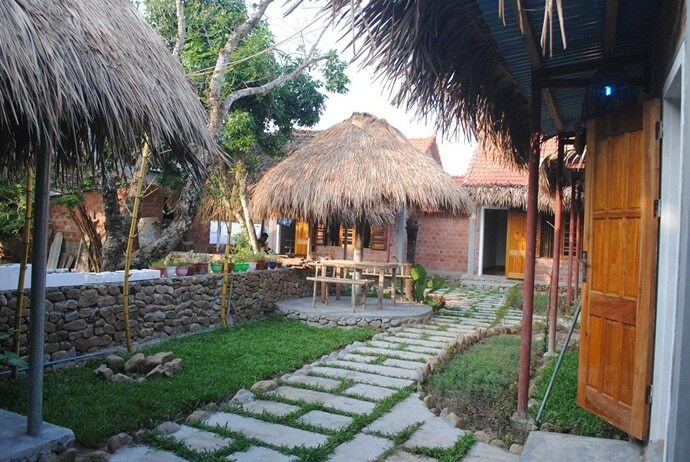 This farmstay is still popular among travelers and backpackers who are looking for a homestay in this area. Besides, Easy Tiger Hostel is also the favorite hostel for tourists in Phong Nha. 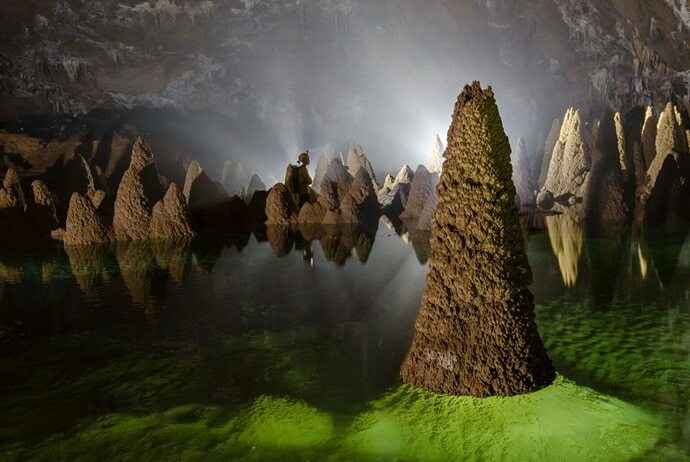 They have opened in Phong Nha for many years and also organize many cave tours. As a result, you can have good food and stay at a reasonable price. If you would like to try something new, you can try staying in Tuan Garden House. Besides, some other recommended places to stay in Phong Nha are Thuong Hai (Thượng Hải) Hotel, Thao Nguyen (Thảo Nguyên) Homestay and Phong Nha Coco House. 7. Where To Eat In Phong Nha? There are some places in Phong Nha where you can enjoy Vietnamese cuisine, but the prices may be slightly higher than places in other towns. The most recommended place is Bamboo cafe. 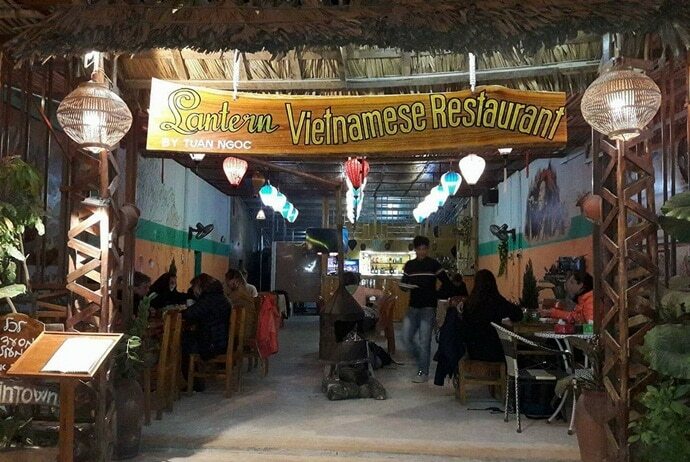 It is a warm, welcoming hideaway where tourists can unwind after a day’s exploration in Phong Nha Cave, enjoy Vietnamese coffee and fresh foods. All of its friendly staff are local people and always make you feel comfortable. Before visiting Phong Nha Cave, you need to know and then follow a few tips. Firstly, there are a few ATMs around Phong Nha Cave, so you do not need to bring too much cash unless you want to. Secondly, you should not drink the tap water in Phong Nha Cave because it contains high contents of calcium, limestone as well as other minerals. Thirdly, you should learn a few Vietnamese phrases to get around. You can bring a Vietnamese phrase book with you when getting around. 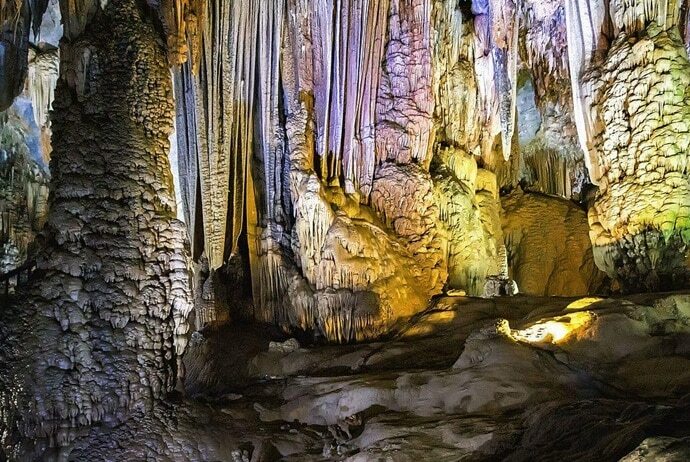 Actually, if you have a chance to Quang Binh province and want to explore some of its spectacular sceneries, you should not miss Phong Nha Cave in Vietnam. And certainly, this trip will bring you a great experience and unforgettable memories. Why Does Quang Binh Have Many Unspeakably Beautiful Caves? What Is In Va Cave – The Most Special Cave In The World? Hang Tien Cave – Discover A Natural Heritage In Quang Binh, Vietnam! Tra Co Beach – An Irresistibly Beautiful Beach In Quang Ninh, Vietnam!